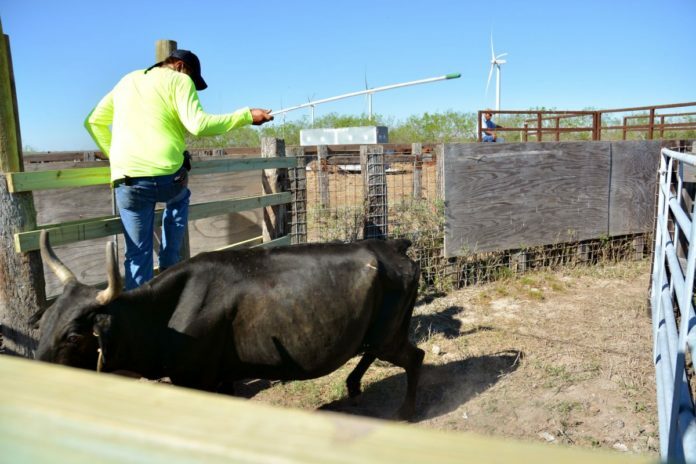 HARLINGEN — A controversial proposal to ease the cattle fever tick inspection and treatment process for some ranchers was approved unanimously yesterday by the Texas Animal Health Commission. The new rule eliminates costly and labor-intensive cattle roundups, inspection and treatment for any property ruled exempt. Many ranchers resent the frequent roundups, cost, time and injuries cattle can suffer when complying with the inspection and treatment rules, which can be required as often as every two weeks until fever ticks are eliminated from a herd. The new rule would be applied on a ranch-by-ranch basis at the discretion of TAHC’s executive director and consulting tick epidemiologist. The cattle fever tick is in the midst of one of its periodic forays out of Mexico beyond the Permanent Cattle Fever Tick Quarantine Zone along the Rio Grande. The current area under permanent and temporary tick quarantine zones in Texas is about 550,000 acres. North Cameron and Willacy counties are in temporary quarantine zones; southern Cameron County is in the permanent zone. Bill Hyman, executive director of the Independent Cattlemen’s Association, was at the meeting and confirmed the vote. “The only thing I asked for was that all ranchers be treated the same,” Hyman said after the vote. “If they were going to say, you didn’t get them all (rounded up and inspected), but you still have a good test, that the smaller ranchers still got the same treatment, because most of my members are small ranchers. “I was assured that they would,” he added. The changes to the 100-year-old Texas Cattle Fever Tick Eradication Program mean the ranchers who will be granted an exemption no longer have to provide a 100 percent treatment schedule for infested premises or adjacent pastures. Some ranchers believe lobbying pressure from some of South Texas’ mega-ranches played a role in the decision to modify the fever tick protocols. Cattle ticks can carry a disease called babeosis which can cause them to lose weight and die. For a century it has been a serious threat to the Texas beef industry, which today is a nearly $12 billion a year economic powerhouse. The permanent cattle fever tick quarantine zone, established in 1942, ranges from 200 yards to 10 miles wide along the Rio Grande in the United States from Del Rio to Brownsville.